Vegan food has finally made its way into the mainstream. And it’s never been easier to find great new dishes to try. 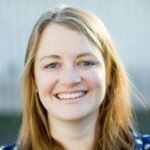 According to Eater, there’s a renewed interest in meatless products inspired by an interest in personal health, and concerns about the environment and animal welfare. As a result, vegan catering options have never been more robust. Check out these hot vegan food trends to inspire your next meals. Wrap a fluffy corn tortilla around almost any filling, and you get a delicious and satisfying meal. It’s no surprise, then, that the taco is a great option for vegan catering. There’s a long tradition of vegetarian tacos in Mexico. They have been filled with potatoes, squash blossoms, roasted pepper strips, or cactus. 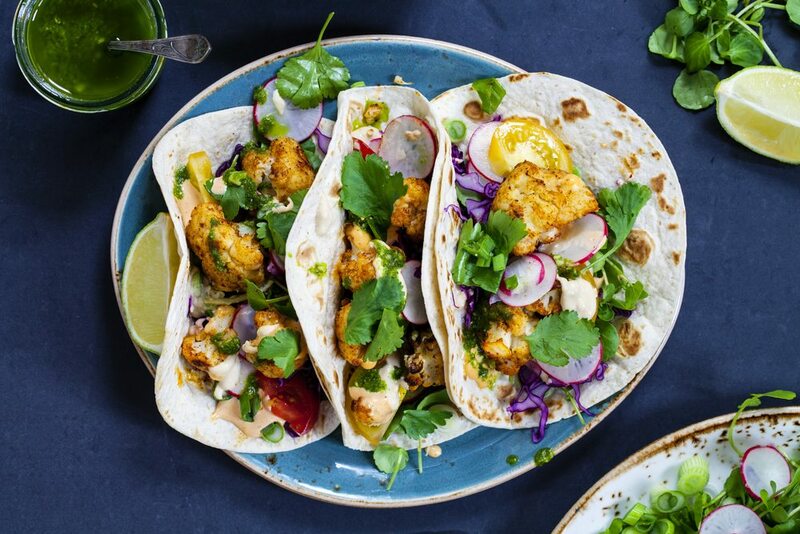 But take it a step further for this vegan food trend, and fold your tortillas around some unexpected roasted vegetables like sweet potato with pumpkin seeds, cauliflower, carrots, eggplant, summer squash, or portobello mushrooms. A nice slaw or fiery salsa is all you need to top these off. Banh mi is a traditional Vietnamese sandwich that can easily be made vegan for catering. Filling your baguette with pork is old news. Instead, try tofu or seitan along with the traditional shredded carrots and daikon radishes. 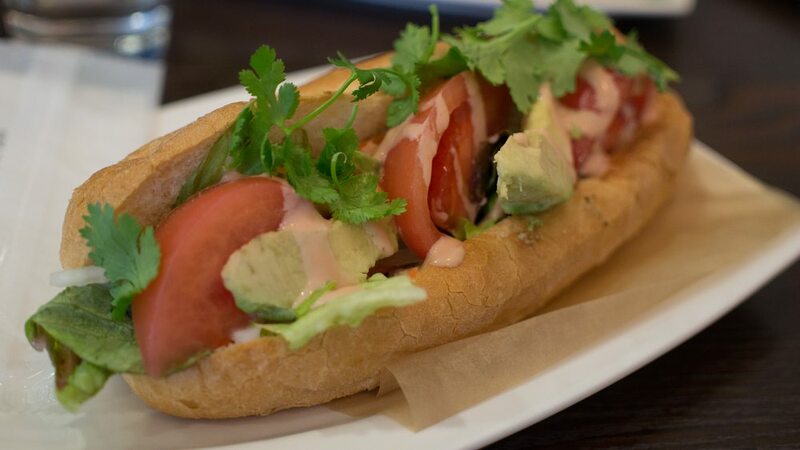 Tofu banh mi is popping up more frequently, along with new riffs on the sandwich stuffed with vegan mayo and vegetables like portobello mushrooms, slices of roasted sweet potato, or avocado. This isn’t the stale old burger made of beans and grains. 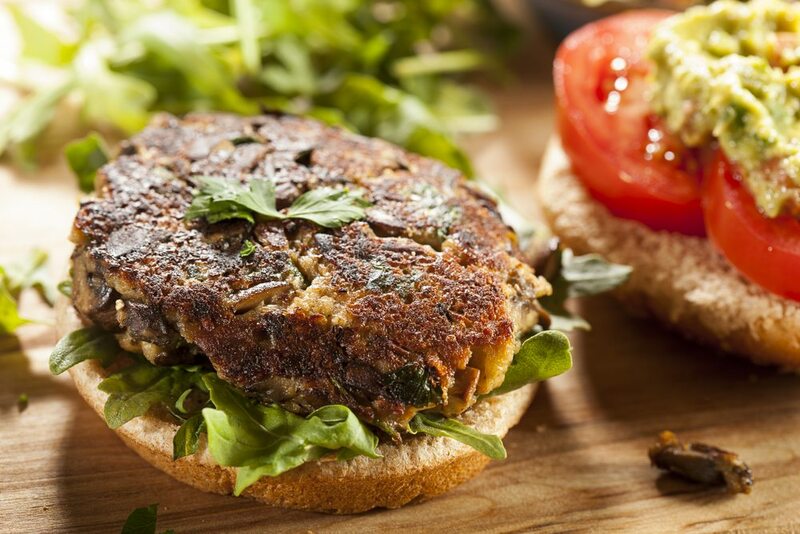 The newest meatless burgers mimic the flavor and texture of meat surprisingly well thanks to recent technological innovations. Some even “bleed” on the grill like a real burger. Better yet, they have no cholesterol since they’re made from peas and other plants. Meatless burgers can be made with eggplant, zucchini, beets, or whatever concoction you come up with to fit your vegan catering menu. Right now it seems like there’s nothing you can’t eat from a bowl filled with rice, quinoa, barley, or couscous. 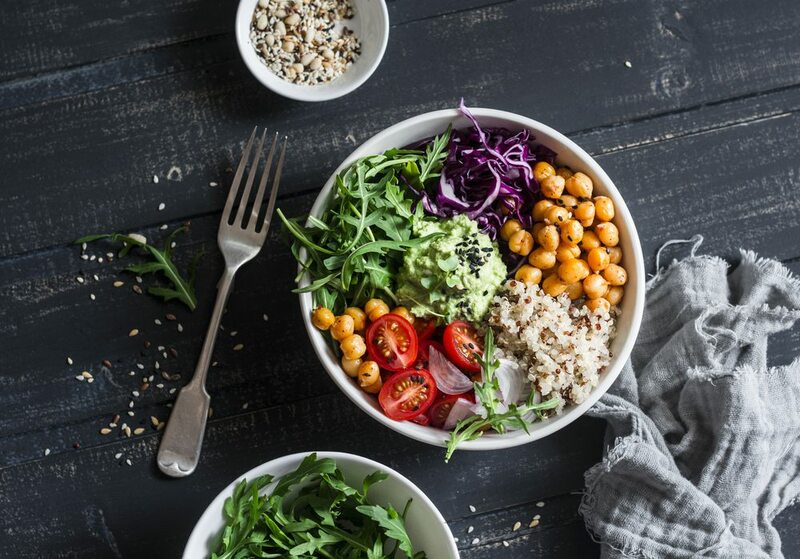 According to Restaurant Business Online, this food trend shows no sign of slowing down because of current desire for global flavors, healthier eating options, and customization. They’re also a vegan catering favorite because they’re fast to assemble and easy to eat at office desks or at meetings. Go Mexican and top it with beans and guacamole. Try Middle Eastern with hummus and falafel. Or create an Asian bowl with tofu and peanut sauce. Even steakhouses are aware of vegan food trends right now. 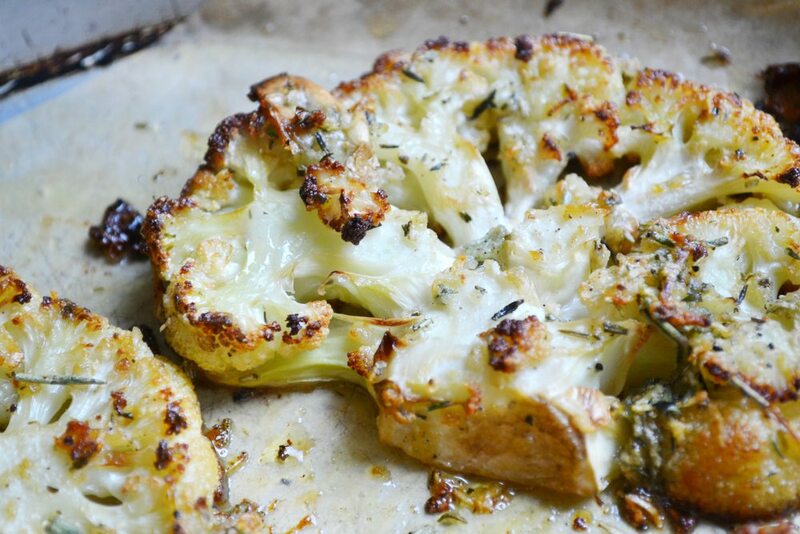 They’re offering more meatless options, and the go-to dish right now is a cauliflower steak according to Nation’s Restaurant News. The dish is typically made with a whole cauliflower that has been sliced through the head into four large pieces. The vegetable steaks are then roasted and served with an inventive sauce like chimichurri or curry. To add more protein to the mix, try a lentil-based sauce. The earthy flavor and hearty texture are delicious enough to stand on its own. The days of chalky, soy-based ice creams are long gone. According to the New York Times, the demand for dairy alternatives has exploded in recent years. 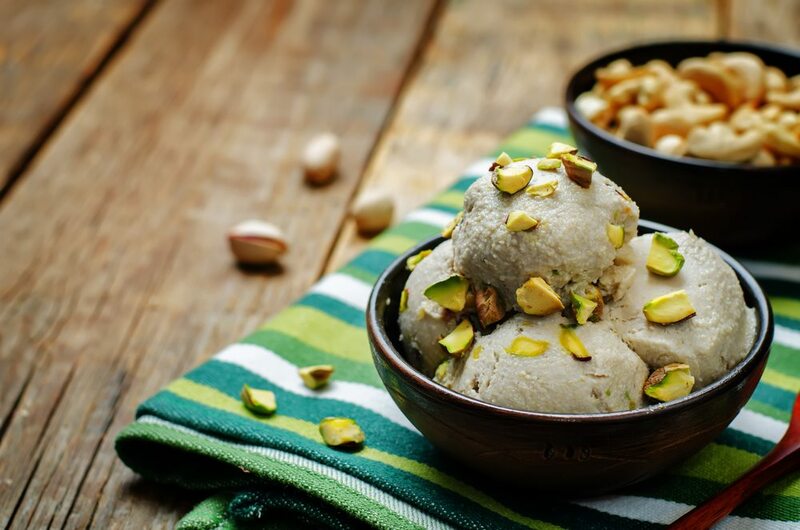 Many of these happen to make an excellent base for vegan ice creams in a whole range of flavors that still have that smooth, silky texture and also taste great, making this a top vegan food trend. Since these ice creams can often take on the flavors of the base, it’s best to choose a complementary flavor like Alphonso mango or chocolate for a coconut milk-base or a cherry flavor for your almond-milk base. 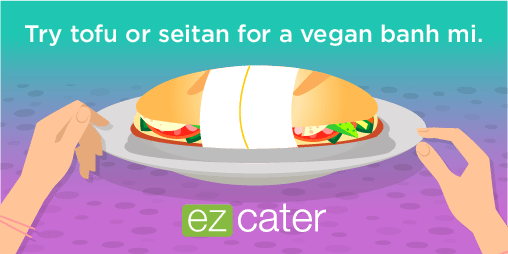 Looking for more vegan catering ideas?